Amalissa Hum running past the new Hotlab being constructed. The Hotlab is the smallest module of the Habitat where all chemical testing on samples are conducted. A special module is devoted to this purpose so that any chemical or biological contamination due to samples collected on the Planetary Surface will be isolated and prevented from spreading into the rest of the Habitat. 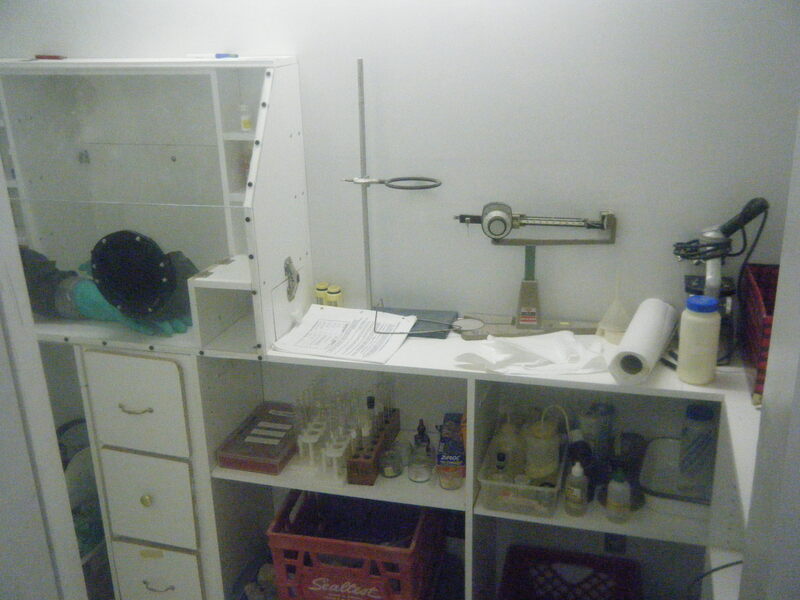 The Hotlab is open to the outside via the Hotbox, which is a small airlock used as a entrance and temporary storage site for the samples collected. Once basic safety assessments are carried out on the sample, it is brought into the Hotlab. The current Hotlab is located adjacent to the Interlock; however, there is evidence of the current bathroom having been intended to carry out duties of a Hotlab. In 2007-08, the Hotlab was relocated slightly to enlarge the planetary surface. The Hotlab's equipment was entirely replaced for the Hawking III's maiden voyage, Genesis 2009. During the move to the new room, the Hotbox was damaged and sufficient revenue existed to completely replace it and provide updated equipment to the astronauts. Three storage compartments were added before the 2009-10 Mission for in-mission experiments. This page was last modified on 22 September 2011, at 12:41.